Ford Motor Co. profit fell to $1.07 billion in the second quarter, down about 50% from the $2.05 billion it made in the second quarter of 2017. 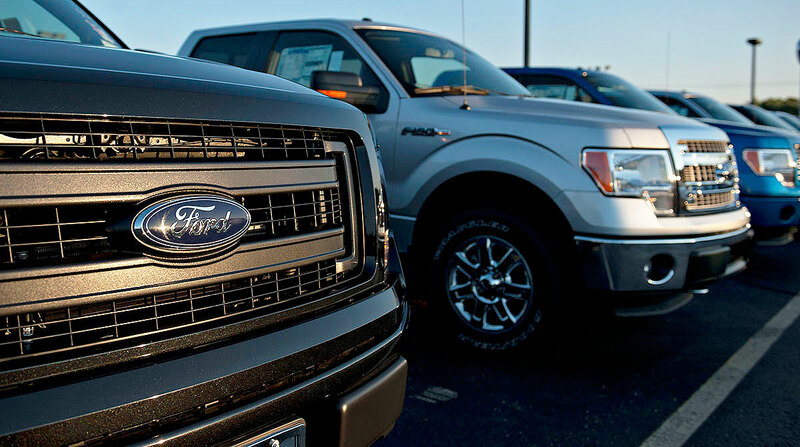 The Dearborn, Mich.-based automaker blamed its performance on a $482 million loss in China, a $300 million increase in commodity costs because of steel and aluminum tariffs, and a disruption in the production of its top-selling F-150 pickup truck. After the steep drop in profits, Ford lowered its guidance for the year to $1.30 to $1.50 per share. Ford also said it expected earnings before interest and taxes charges of $11 billion as it “reallocates capital to opportunities with higher returns,” such as its recently announced autonomous vehicle spinoff and a shift in focus to higher-priced, higher-margin pickups and sport utility vehicles.